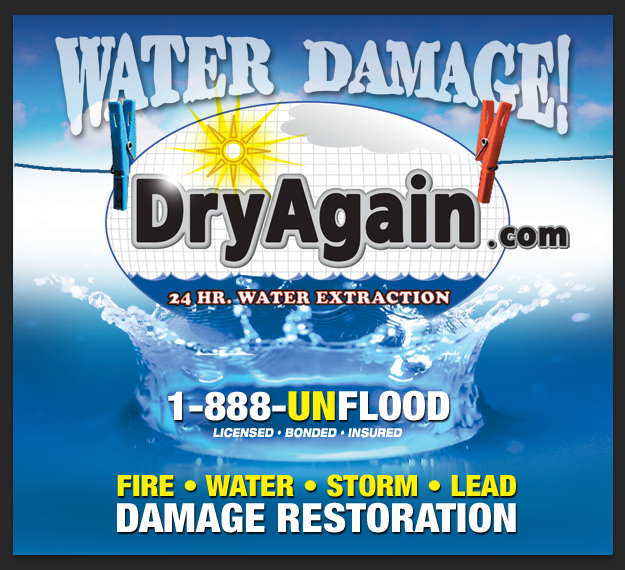 DryAgain Water, Mold and Fire Restoration Services is a full-service restoration contractor. What does that mean? That means that we are the first, and only service that you need to call in the event of damage to your home or business. We can install and repair all types of flooring, drywall and paneling, as well as offering painting services. We do cabinet installation and repair, too. Whether you need your plumbing serviced, repaired or replaced, we can help—and we also offer electrical installation and repair services. At DryAgain Water, Mold and Fire Restoration Services we really can do it all. 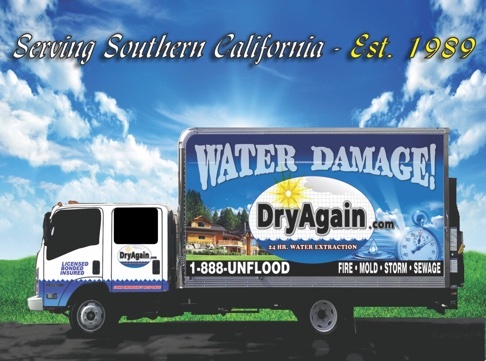 Whether your needs are commercial or residential, DryAgain Water, Mold and Fire Restoration Services can restore and rebuild water, fire, and mold-damaged property. Our methods for cleaning smoke, soot, and combination water damage use a combination of certified education and high-tech equipment to ensure that your home and property are restored. No matter whether your property is threatened by mold, lead, storm damage or simply in need of board-up or tarping services, we can help. At DryAgain Water, Mold and Fire Restoration Services we understand that all situations that involve property damage are urgent—and we will respond accordingly. Our IICRC certified team of experts is on call 24 hours a day, 7 days a week to help you. Don’t hesitate to call or email us for a free estimate. We will take note of your unique circumstances, and formulate a plan that works best for you. Water damage can result from a number of sources, including storm damage, flooding, freezing or improperly sealed pipes or foundations, or even as a result of a fire. It is important to know that in the event of any level of water damage, the longer you wait to contact the professionals at DryAgain Water, Mold and Fire Restoration Services, the more serious your water damage can become. Untreated water damage can lead to problems such as swollen plaster, soft, spongy, or rotting wood, musty odors caused by mold, stained or ruined carpeting and upholstery, and a general devaluation of your property. Let’s face it, nobody wants to inherit your mold problem. The only way to deal with water damage is quickly, by calling the IICRC certified water damage restoration experts at DryAgain Water, Mold and Fire Restoration Services. Our team of experts in the field of mold testing have all been IICRC certified, which means that we have invested the money, time, and effort into providing you with the highest quality of service. Our training includes the recommended IICRC methods for dealing with mold removal. The very first step is detection. Using state-of-the-art equipment we can identify the source of mold with incredible accuracy. If there is any suspicion of mold in or around your property, don’t wait to call a professional. At DryAgain Water, Mold and Fire Restoration Services we know that the longer you wait, the more time-consuming and expensive full remediation can be. Once mold has been identified, we will evaluate the rate of growth, and contain the damage to the smallest possible area. Contaminated materials may have to be physically removed, which we will do promptly and safely, before treating and drying the salvageable materials to ensure that mold will not become a recurring problem. The restoration problem is complete only when your property has been fully returned to its pre-loss condition. The presence of lead in your home or business is an extremely serious health hazard that should not be ignored. DryAgain Water, Mold and Fire Restoration Services offers certified lead abatement services to protect the occupants of your home or business from extremely dangerous lead poisoning. Regular exposure to lead can damage nearly every system in the body, and the harmful effects can be present in both adults and children. Lead is a toxic metal that can cause serious health problems if dust particles containing it are inhaled, or ingested. Although children are the primary risk for lead poisoning, it can also be dangerous to adults. Your best bet for avoiding this common health hazard is to contact the experts at DryAgain Water, Mold and Fire Restoration Services for an assessment, and if necessary lead abatement service for your home or business. Whether your sewage backup is the result of a malfunctioning toilet, backflow failure or leaking pipes, it can cause major damage to your home or business, seeping into floors and walls, carpeting and furniture. The result can be extremely unpleasant, not to mention damaging, to anything it comes in contact with. Bacteria, parasites, mold, and even viruses can linger in walls and crevices. This can be difficult to detect without the proper equipment. At DryAgain Water, Mold and Fire Restoration Services, our team is trained to use the latest equipment, as well as time-honored techniques, in order to make the right call concerning the safety and cleanliness of your property.